Viersen, Germany, 20 April 2016 +++ MailStore Software GmbH, the German specialist for legally compliant email archiving, announced the release of MailStore Home version 9.7, the software for archiving private emails, today. The free end-user software’s new features improve performance, user-friendliness, and security. A change to the development process will allow MailStore Home to continuously stay up-to-date with the newest MailStore technology in the future. The introduction of the mailbox cache improves the performance of the archiving process enormously. At the same time, the display of archived emails has been fundamentally optimized. The display and preview of email lists have been designed to be clearer and thereby more user-friendly. The updated design of the dashboard in version 9.7 has been brought in line with other MailStore products. Users with limited IT knowledge will benefit from the improved setup wizards for archiving individual mailboxes. The login procedure for Google Mail accounts has been changed in order to increase security. When the user carries out the initial setup of MailStore Home 9.7 and links it to an email account, a consent dialog pops up on the screen, requesting confirmation that MailStore Home should be used to access the email account. This means MailStore Home now also supports the latest Google security standards such as the OAuth 2.0 login procedure, for example. A highly praised feature of MailStore Home allows users to browse file attachments by keywords. The method of indexing email attachments to make them searchable is now substantially more user-friendly. The dashboard of the email archiving software for end users informs them if attachments are not indexed. If IFilter add-ons are necessary for indexing, MailStore Home automatically offers suggestions on where these can be downloaded. MailStore Software GmbH, one of the worldwide leading manufacturers of email archiving solutions, is headquartered in Viersen, Germany (near Düsseldorf) and is a subsidiary of Carbonite (Nasdaq: CARB), a U.S. cloud and hybrid backup specialist. 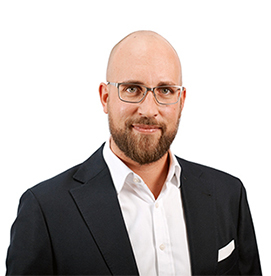 Over 30,000 companies and public and educational institutions in 100 different countries have placed their trust in the products of this German specialist. MailStore also offers a solution developed specifically for providers, the MailStore Service Provider Edition (SPE). This solution allows providers to offer their customers legally compliant email archiving as a managed service. MailStore Home is another product in the portfolio that allows individual users to archive their personal emails. 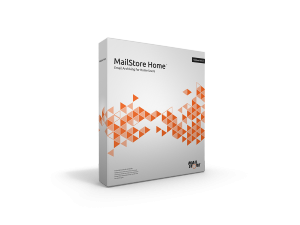 MailStore Home is currently used by over one million users worldwide.